We are happy to report that we’ve grown our precision team to better serve our customers throughout the state. Please welcome our newest Precision Specialists and see below who is in your area. Nick discovered his passion for agriculture mechanics in FFA when he achieved an individual gold ranking at National FFA Convention in the agricultural mechanics competition. 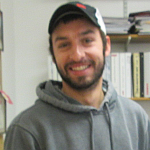 Nick is a recent graduate in Agricultural Engineering from SUNY Cobleskill. While working with precision products in college he gained interest in a career as a precision specialist. 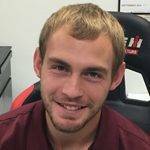 As a final requirement for his Bachelor’s degree, Nick completed a summer internship with Monroe Tractor and has been with the company since. 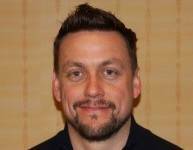 Nick is an avid advocate for improving efficiency through cost-effective use of technology and innovation. There is nothing Nick likes better than the challenge of solving problems and creating new ways of improving production for our customers. In Nick’s free time he enjoys working on his collection of antique Farmall tractors, and camping in the summer. Nick grew up and lives in Cobleskill. Farming has been a passion of John’s since he was a little boy. He grew up working on the Rider dairy farm performing all aspects of farming. Additionally, he received his Agricultural Mechanics certification in 1987 from the Finger Lakes Technical Career Center. After 20 years of farming he pursued a career in mechanics at Crosman Corporation while working as a group leader in the maintenance department. 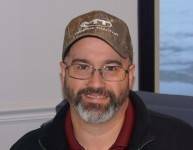 John has been employed at Monroe Tractor as a service technician since July 2003, exploring many facets within Precision Farming Equipment. His expertise has provided him vast knowledge within application equipment, combines and planters. He is an avid learner, works diligently to understand all products, and believes strongly in customer satisfaction. John lives in Bloomfield with his wife and three children. When he is not working on the Rider farm equipment he enjoys hunting and outings with his family. Ethan grew up on his family farm in Pavilion, NY, where he grew a true passion for farming. With heavy involvement in both FFA, 4-H, and showing dairy cattle at the national level, he quickly learned the Western NY area and developed a solid network of connections in agriculture. 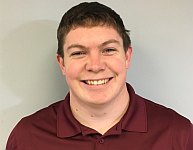 Ethan graduated in 2014 from SUNY Morrisville with an Associate’s degree in Agricultural Engineering. Ethan went on to further his education at SUNY Cobleskill. 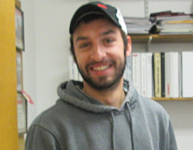 In 2015 Ethan graduated with his Bachelor’s in Agricultural Engineering. After college Ethan worked as a technician for some time, but found his real passion in Precision Agriculture. The opportunity presented itself to become a team player in Monroe Tractor’s Precision Agriculture Team in 2017. Nate grew up on a small farm in Pennsylvania. Nate traveled often for livestock shows where he would meet farmers and see their ways of doing things. In 2013 he graduated high school and started college at SUNY Cobleskill. 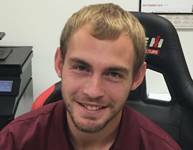 Nate received an associate’s degree in Agricultural Engineering Technology: Agricultural Power Machinery in May of 2015 and a bachelor’s degree in Agricultural Equipment Technology in May of 2016. It was when Nate started college that he had been introduced to precision farming and began the study of it. When Nate graduated in May of 2016, he accepted an internship offer with Monroe Tractor. Upon completion of his internship in August, Nate was offered a full time position. Roy grew up in the heart of California where he was exposed to multiple different industries in agriculture. When his family moved to upstate NY, Roy joined 4-H and started raising and showing hogs. In 2015 he graduated High School and pursued his passion for agriculture at SUNY Cobleskill. 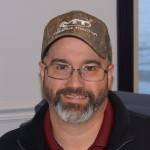 Roy earned his associate degree in Agricultural Power Machinery in December 2016 and his Bachelor’s Degree in Agricultural Equipment Technology in May 2018. 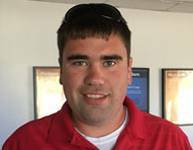 Roy pursued an opportunity to learn more about precision farming during his time as an intern with Monroe Tractor. Upon completion of his internship he was hired on as a Precision Product Specialist. Seth started his career working on various farms through high school and college. He spent 15 years working for a custom harvesting company where he continued to glean as much information on how things worked. 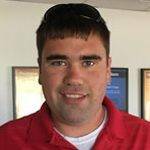 In 2007, Seth came on board starting as a Product Support Rep and with his ability and passion for Precision Farming Equipment it was apparent that Monroe Tractor needed to utilize that expertise and created the Precision Dept. with him at the helm. Since, he has been an integral part of streamlining the use of cell modems in the cabs of equipment for RTK/VRS accuracy within NYS without having to invest in a large infrastructure to do so. He has since grown the department and continues to push the envelope to develop new, less expensive opportunities in the ever-changing agriculture technology market.